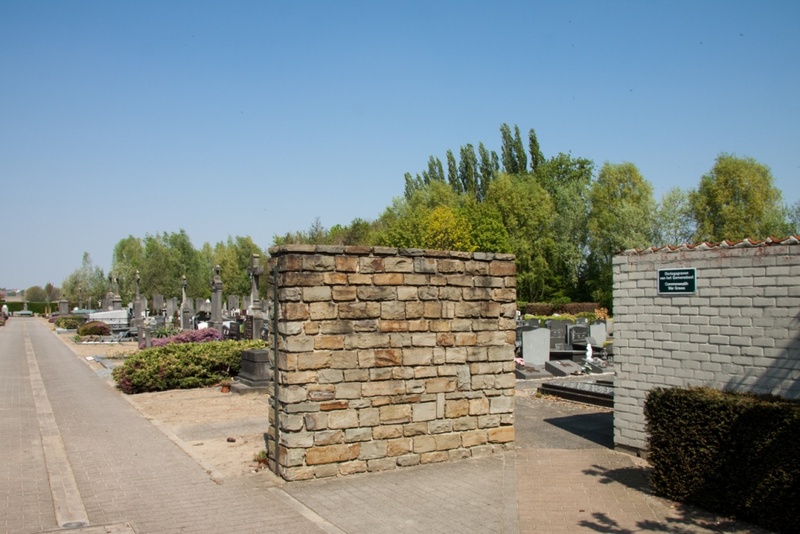 The village of Oostrozebeke (formerly Oostroosbeke) is located east of the town of Ingelmunster off the N357 which runs between the towns of Roeselare (Roulers) and Waregem. Driving from Ingelmunster enter the village of Oostrozebeke and after passing through the centre of the village and past the church take the fourth left into Veldstraat. Take the first left which then bends to the right. At the next junction turn left into Lindestraat. 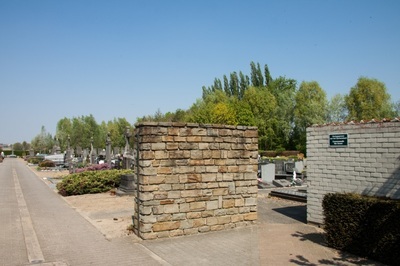 At the T junction turn left into Kalbergestraat the cemetery is approximately 150 meters from the junction and is accessed via a narrow lane that passes between two houses. The entrance is between numbers 5 & 7. 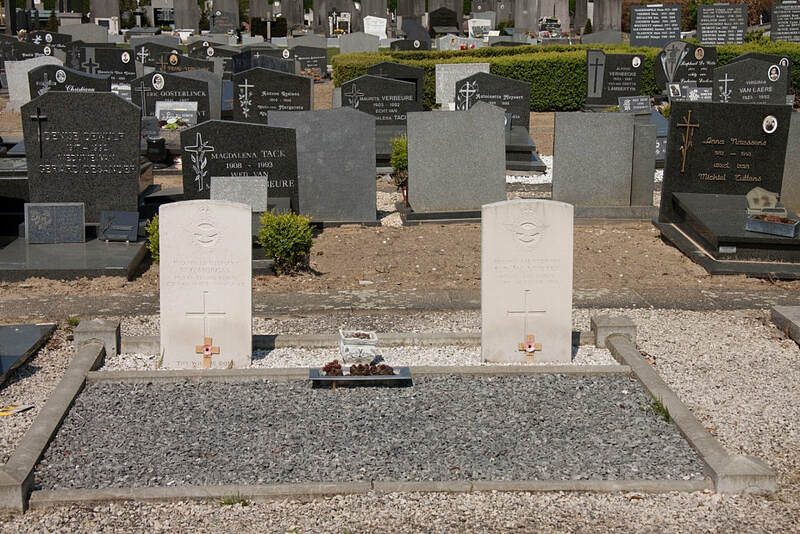 On entering take the first path to the right and the war graves are on the left of this path. Oostrozebeke Communal Cemetery contains the graves of two Commonwealth airmen of the First World War. Second Lieutenant Wilfrid Gilbert Morgan, 4th Squadron, Royal Flying Corps, died 23rd October 1917, aged 27. 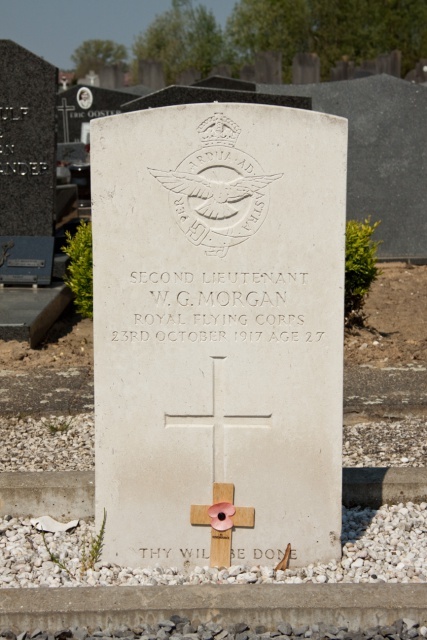 Son of George Morgan, C.B.E., I.S.O., Chevalier de L'Ordre de Leopold, and Annie Eliza Morgan, of Wallington, Surrey. 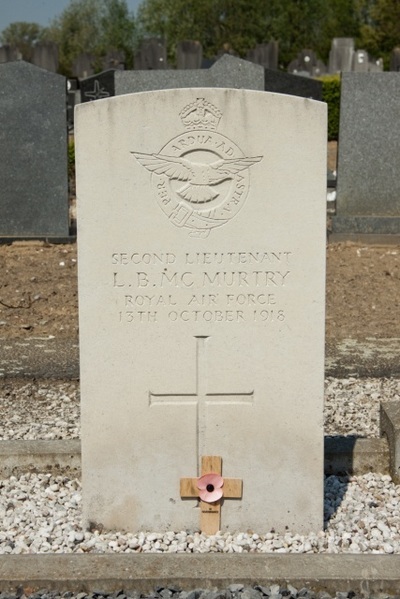 Second Lieutenant L. B. McMurtry, 213th Squadron, Royal Air Force, died 14th October 1918.